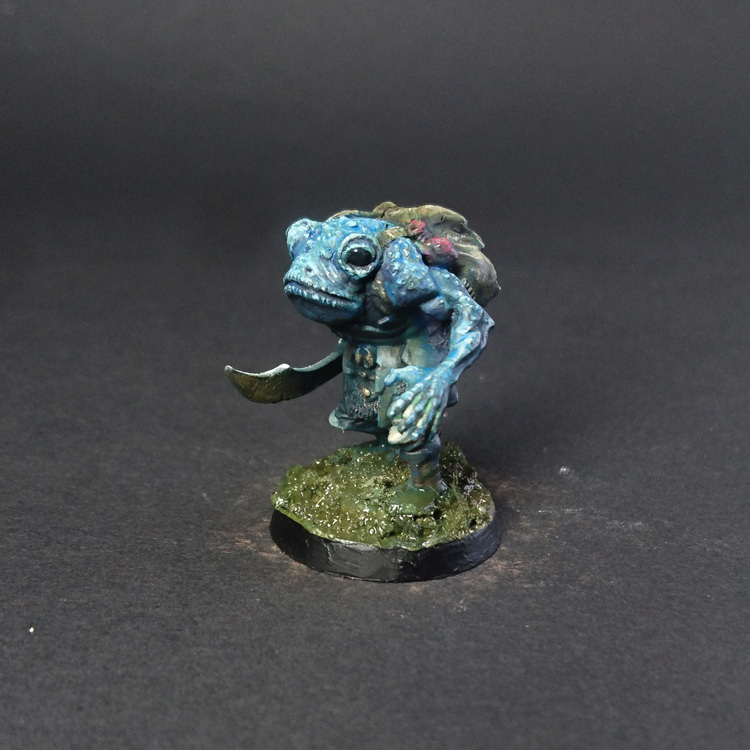 FUMMELFINGER: Zugul, the man-frog. Lost heir to the pond throne. 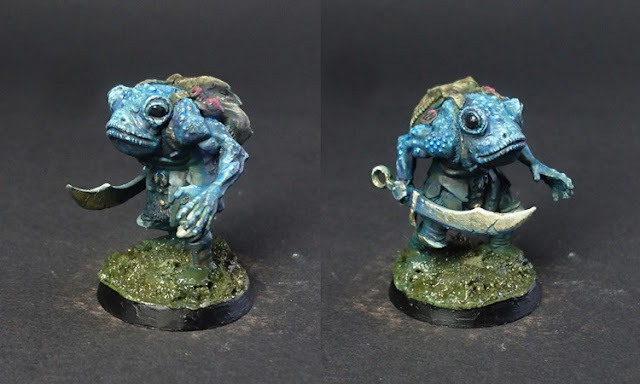 Zugul, the man-frog. Lost heir to the pond throne. and turned him to a ghast. as we do in our den. 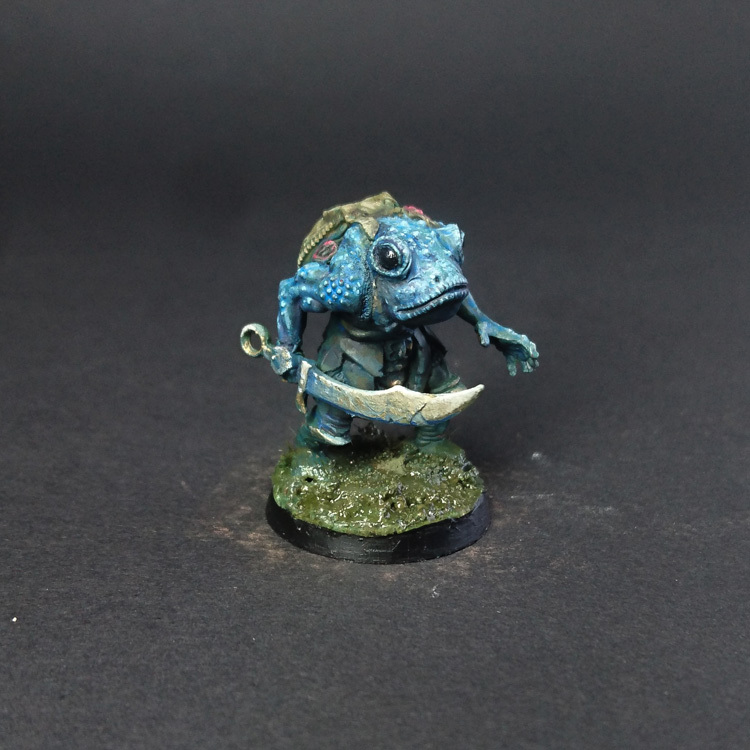 I sculpted a frogs head to the body of a mantic orc and added bloodletter arms with a skeleton sword an an oger backpack to create this poor and wretched hero. Magnificent! Wonderful conversion and great sculpting. The color scheme is also perfect for the model.